Three days ago, we covered claims from CalcioNapoli24 that Ole Gunnar Solskjaer is confident of staying at Manchester United and has asked the Red Devils to sign PSV Eindhoven’s Hirving Lozano. A day later, Gazzetta dello Sport reported that Napoli, who are also interested in the Mexico international want to ‘avoid’ the Premier League outfit joining the race for the 23-year-old. 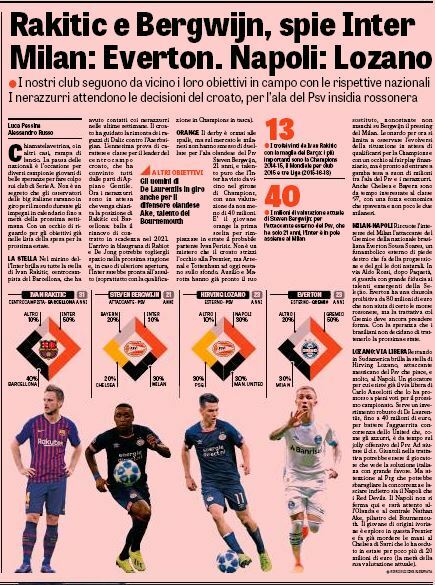 In today’s edition of Gazzetta dello Sport, the interest from Old Trafford and the Serie A outfit is once again discussed. Carlo Ancelotti has already given a signal to his employer to land the exciting attacker for season and the player also likes the idea of making a switch to Naples. To beat the ‘fierce competition’ from the 20-time English champions in signing Lozano, Napoli chairman Aurelio De Laurentiis must prepare a ‘robust investment’ of around €40m for the PSV star. 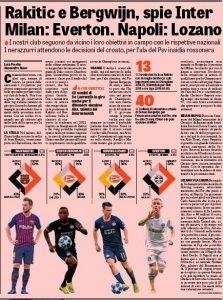 Gazzetta warns Manchester United and Napoli that Paris Saint-Germain could involve themselves and leave the former two behind by submitting an offer for the winger. Having scored 17 goals and registering eight assists in the league last season, Lozano has 15 goals and six assists in 24 league appearances this term.